One of the most important aspects of picking a life insurance policy is the insurance company that the coverage is being purchased from. This is because you will want to be sure that if and when the time comes for filing a claim, the company will be there for loved ones and survivors, and that the payment of that claim will be as smooth as possible from one of the best rated life insurance companies in America. One such insurance company that has high ratings from the ratings agencies and that has a positive reputation for paying out its policyholder claims is AAA Life Insurance Company. AAA Life Insurance Company has been in the business of offering insurance protection products to its customers for more than 40 years. Today, this insurer has more than 1 million insurance policies in force. Back in 1969, AAA Life Insurance Company became a part of AAA – and it now offers a competitive array of life insurance products, as well as annuity income products so that customers can also save for their futures, and have retirement income when they need it. Other protection product offerings include travel accident term life insurance coverage. The firm makes its headquarters in Livonia, Michigan. AAA Life Insurance Company has an outstanding reputation for customer service, and it is well known and respected, as it provides its clients with all that they need in terms of insurance policyholder services, as well as quick claims payment. They are also known in the industry for being quite easy to do business with. Customer service reps can be reached in a number of convenient ways, including through a toll-free phone line, as well as online via email, and an online customer support request form. 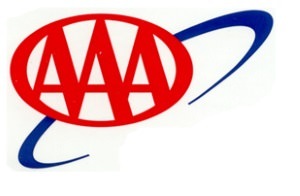 Customers who are already AAA Club members are able to obtain a discount on their protection insurance services. AAA Life Insurance Company has been provided with very high insurer ratings due to it great reputation in the industry. This includes an A- (Excellent) from A.M. Best. In addition, AAA Life Insurance Company has also been given the grade of A+ from the Better Business Bureau (BBB). (This is on a grade scale of between of A+ to F). And, throughout the past three years, AAA Life Insurance Company has had 14 complaints closed with the BBB, four of which have been closed within the past 12 months. Of those total 14 complaints, six centered on problems with the company’s products and / or services, five centered around issues with the company’s advertising and / or sales, and three centered on billing and / or collection issues. At this time, AAA Life Insurance Company is not an accredited company with the BBB. AAA Life Insurance Company is also considered to be quite passionate about giving back to the communities in which it services. For example, over the past decade, the firm has been very committed to supporting a number of different organizations. It has done so by raising funds and / or through serving local charities that are in need. Some of these include the American Heart Association, the Alzheimer’s Association, The American Cancer Society, the Covenant House, and the American Diabetes Society. Term life insurance is considered to be the most basic type of life insurance coverage that is available in the marketplace today. This is because term life provides just pure death benefit protection only, without any type of cash value or savings build up within the policy itself. Because of this, term life insurance can be quite affordable – especially for those who are young and in good health at the time of application. Therefore, many people will purchase term life coverage when first starting out – for example, those who have young families. AAA Life Insurance Company offers a Traditional Term Life plan that provides term coverage lengths of 10 years, 15 years, 20 years, 25 years, and 30 years. These plans offer premiums that are guaranteed to be level throughout the term of the policy. The coverage amount can range from between $100,000 up to more than $5 million. The company also offers the option for an Express Term Life Insurance policy. This plan can be purchased online and can, therefore, be bought within just a few minutes. Coverage can range from between $25,000 to $250,000 with lengths that are ten years, 15 years, 20 years, 25 years, and 30 years. This plan does not require a medical exam for approval. Whole life insurance is a form of permanent life insurance coverage. This means that it offers both death benefit protection, along with a cash value build up within the policy. The cash that is in the policy is allowed to grow on a tax-deferred basis, meaning that there will be no tax due on the growth unless or until the time that it is withdrawn by the policyholder. With a whole life policy, the amount of the coverage, and the amount of the premium are guaranteed. This means that the coverage cannot be canceled – regardless of the insured’s increasing age, as well as if he or she becomes ill. Likewise, the amount of the premium may not be increased by the insurance company. Guaranteed Issue Graded Benefit Whole Life Insurance – This plan offers whole life insurance protection without having the applicant for coverage answer any health questions or even having them take a medical exam as a part of the underwriting process. This means that even if someone has a health issue, he or she may still be able to obtain this coverage option. Universal life insurance is also a form of permanent life insurance protection. Therefore, it also offers both death benefit protection, along with a cash value build up. However, it is considered to be more flexible than a whole life insurance policy. This is because the policyholder is allowed – within certain guidelines – to choose when they make their premium payment. They may also opt to choose how much of their premium payment will go into the death benefit portion of the policy and how much will go into the cash value portion of the plan. Accumulator Universal Life – This plan will allow the insured individual to receive a permanent amount of death benefit protection, as well as to build up a nice amount of cash value accumulation for the future. This cash may be borrowed or withdrawn for any type of financial need that the policyholder sees fit, such as paying off debts, paying for a child or a grandchild’s college education, and / or for supplementing retirement income needs. Accidental Loss of Life – In this case, up to $500,000 would be paid to the insured’s beneficiary if the insured dies while traveling via air (certain exceptions apply). Up to $250,000 would be paid out for loss of life by the insured when he or she is driving or riding in a private passenger vehicle, as well as certain other vehicles and public transportation. This coverage will also cover certain expenses if the insured become hospitalized if hit by a vehicle as a pedestrian. Hospitalization – There are also various hospitalization benefits that are paid on this policy that will begin from the very first day that the insured is in the hospital. Recuperation – Additional benefits are paid for the time in which the insured is recuperating. Emergency Room Coverage – There is also an annual emergency room benefit paid on this policy – up to $1,500 per occurrence – for covered accidents. Another important way to help in protecting one’s retirement is through the use of an annuity. This type of financial vehicle helps one to save for the future. When the time comes to convert savings into income, an annuity can provide a set amount of income for a certain amount of time – including for the remainder of a person’s life – regardless of how long that may be. When the joint life option has been chosen, a second person such as a spouse or a significant other may also receive a lifetime income for the remainder of his or her life as well. Deferred Annuities – With a deferred annuity, an individual can earn a guaranteed interest rate on their money and delay the payment of income until a time in the future. The money can grow tax-deferred, meaning that no tax is due on the gain until the time of withdrawal. AAA Life Insurance Company offers several deferred annuities, including the Elite Guarantee Annuity and the Platinum Bonus Annuity. Immediate Annuities – With an immediate annuity, an individual can invest a single lump sum of money and can turn it into an immediate stream of income. These are good for retirees who want to turn their life savings into retirement income right away. When seeking to compare life insurance quotes on products that are offered through AAA Life Insurance Company – or from any insurance carrier – the best way to go about it is to work with either a company or an agency that has access to more than just one single insurance provider. That way, you will be able to more directly – and in an unbiased fashion – compare policies, companies, benefits, and premium amounts, and from there determine which will be the best for you. If you are ready to move forward with the purchase of a life insurance policy, we can help. We work with many of the best life insurers in the marketplace today, and we can assist you with obtaining the details that you require for making an informed purchase decision. All you need to do is fill out the form on this page. Should you feel that you still need some questions answered, please feel free to contact us directly. Our experts can help in walking you through any of the questions or the concerns that you may have. We can be reached via phone, toll-free, by dialing 888-229-7522. Upon purchasing a life insurance policy, there are a number of key factors that are important for an applicant to consider. These will, of course, include the type and the amount of the coverage being purchased. Finding just the right life insurance coverage can at times seem overwhelming. But the good news is that there is the right policy for you – and we can assist you in finding it. We’ve done the shopping for you, and we can point you in the right direction. So, contact us today – we’re here to help.